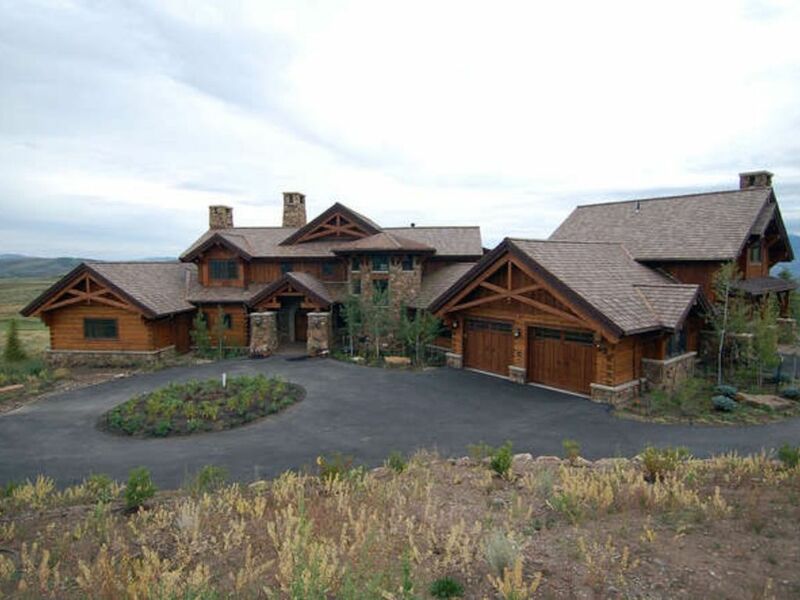 A breathtaking 8,700 Sq ft Custom log and stone home located just 2 hours from Denver in the Summit at Cordillera. This residence sits on the 4th hole of the Nicklaus design golf course, just 18 minutes from Beaver Creek. Sleeps 14 or more for an additional charge. Master suite with King bed, Suite with 2 Double beds, Suite with 2 Twins and a Queen bed, Suite with a Queen bed, Suite with 2 Queen beds, a Sleeper Sofa, and a separate Caretakers unit with a Queen bed and Sleeper Sofa. Perfect for Corporate Retreats, Family Reunions and Intimate Weddings, or just kick back and relax with friends and family or with that special someone. Why not? You deserve it! The owner can help provide access to Cordillera golf, club houses and the world class spa. We can help arrange reservations and discounts are available at the spa. Spectacular mountain views, peaceful, and plenty of wildlife - a perfect place for a holiday and you can almost touch the stars. Drink in the magic that is waiting for you here in Rocky Mountain Heaven. Also click on the video icon in the upper left corner of any photo for an additional video. Family designed and built home. Primary residence in Denver. Great for multiple family vacations, family reunions, corporate retreats, weddings, guys or gals week out, ski trips, golf trips, world class spa, dining and Beaver Creek is around the Rocky Mountain corner. Majestic Views. Quality furnishings and ambiance for the discriminating guest to enjoy. Take time out to party up or cozy down. You will love ypur stay and join our long list of repeat clientele. Stay tuned in to hear about our specials for our return guests. We appreciate your interest and will get back to you promptly to help you on your way to Cordillera. The pics don't do the house justice, it is HUGE! Large hot tub, nice floor plan and lots to do. The views from the summit are beautiful. We had a blast staying here and would definitely come back. Great home, with wonderful views! A large group of us came stayed rented the home since my daughter was getting married in Beaver Creek. The house was fully equipped, very spacious, and lovely. The views are to die for...loved all of the wildlife. Can't wait to come back to the home again for another vacation! Came to Colorado for a yearly family reunion and this house was amazing!! Perfect for our family. House was fully equipped with everything we needed. Lots of common area space. The views were incredible! Saw dear, elk, coyotes, chipmunks and several different types of birds! Owner and caretaker were very helpful and checkout procedure was super easy! I would highly recommend this property! The property manager was easy to work with and very accommodating to our requests. The home is a magnificent in size and grandeur but a little dated and not detailed clean but perfect for hosting big events. Edwards is a very nice town to shop in and convenient. This house was absolutely amazing with great views and a great place to stay! It was very peaceful but close enough to town. We had an amazing time here! The house was gorgeous, nothing like we have ever stayed in. Very easy contact if something happened with the caretaker and property owner. Highly recommend!